Synopsis: Moving on doesn’t always have to mean goodbye. Widowed makeup artist Jane Sullivan is more comfortable keeping her husband’s memory alive than dating a pool full of sharks. Ella, her 4 year-old daughter, is her whole world. My Thoughts: I didn’t know what to expect from this book. I didn’t know the author and I don’t gravitate toward contemporary romance, but will indulge from time to time. I didn’t want to read something too silly. When I realized it was about a writer who had never been published, that intrigued me. In the first chapter I’m involved in a conference, and yes, since this was written in first person, I was the heroine, Jane Sullivan. She has some of my characteristics – she’s shy, a prude, and stubborn. I slipped right into her shoes and had the time of my life! At the conference there were all these models circling around, handsome guys, who take your breath away and who grace published author’s covers. There was one, Lucas Oliver, who strutted around with all his testosterone, the ladies at the conference literally drooling over him and dying to have their picture taken with him. But me, why would I do that? Those kind of guys are so shallow. So true to my character, I rolled my eyes. At that minute, Adonis (Lucas Oliver) looks up and catches my eye. We have an exchange that night of sorts. Now I’ve a side of me that when angered, the smoke just puffs out my ears. That night Lucas made me so made I just blew. These are my words. I’m complicated, there’s no doubt. I loved my first husband and continue to have him near me because of little Ella, my four-year old daughter. No one can replace Evan. So I build walls around myself, preventing others from knowing me and to be indifferent. And I believe firmly, that we don’t have second chances on love. But in this story Lucas Oliver was more than he appeared to be. Jane had jumped to many conclusions only later realizing what mistakes she made. She has more encounters with Lucas at the conference and none of them good. Madame V uses Jane’s skill with makeup a couple of times a week in California, but has requested Jane to go to Paris with her for a couple of weeks for some work that needs her makeup skills. It’s around the holiday. Jane can’t refuse and who would? She’d love to go. But things get a little anxious for her when who should pick her up from the airport in Paris, but Lucas Oliver. Was that guy Madame V’s lover? Another eye-roll. This was a very entertaining story, funny at times. Jane has some nice writer’s perspectives on life. Lucas was a funny guy and liked to prod Jane from her prudishness. I did shed some tears along the way. Lucas has a story of his own, he cares not to share; Jane with bad thoughts about Lucas and very irritated with how she felt around him; Ella being adorable, trusting innocently. So many misconceptions, and so much hurt between Lucas and Jane. Watching Jane and Lucas grow as individuals and learning how to finally trust was soul-satisfying. A happy ever after that left me smiling. I unabashedly recommend this read. 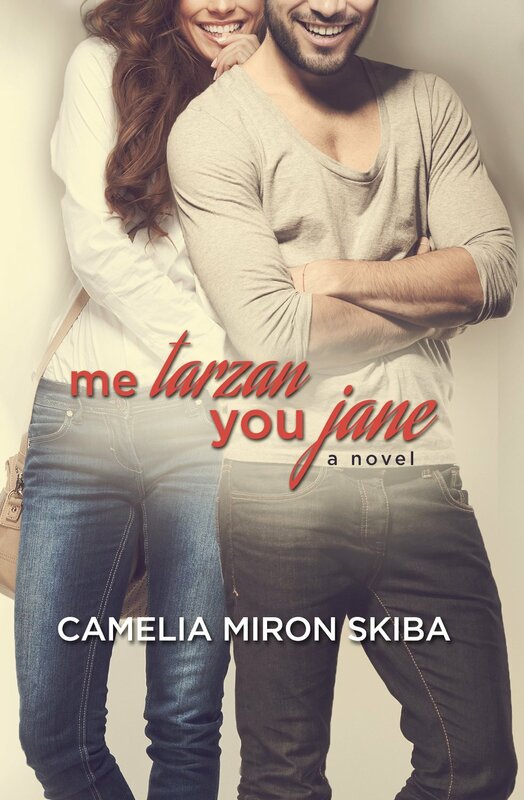 This entry was posted in Book Reviews, New Book Release, Romance, Women's Fiction and tagged Book Review, Camelia Miron Skiba, Me Tarzan You Jane, Romance, Second Chances, Women's Fiction. Bookmark the permalink.